Say ciao to Bellissimo! A trendy, hand-brushed font, designed with branding in mind. 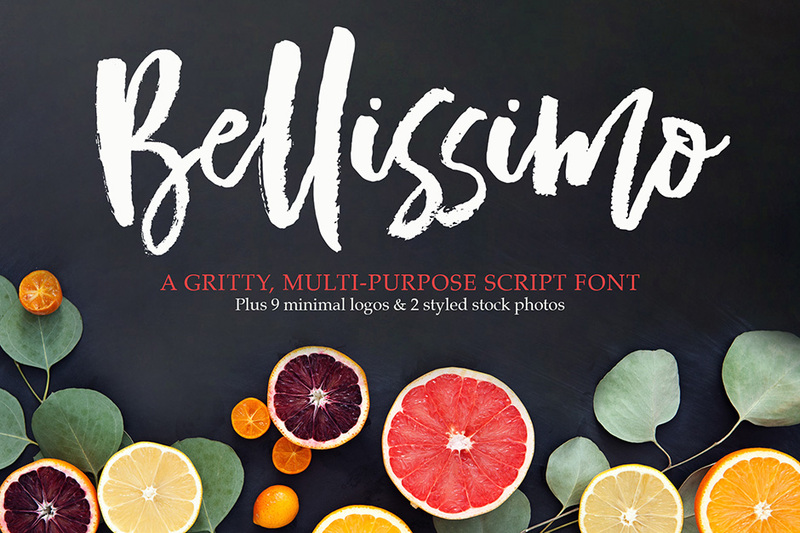 Bellissimo looks gorgeous on logos, websites, invitations, greeting cards, magazines, business cards, packaging and so much more! I’ve been totally in love with hand-lettered branding lately, so I went ahead and whipped up some trendy, minimal logos for your creative pleasure as well! File size is approx 4.3MB (6.5MB unzipped), offered as a single download. Hi! I’d just like to know if this font works with both Photoshop and Microsoft Word? Please not however that Stylistic Alternates will require professional design software such as Adobe Illustrator, Photoshop, InDesign or Inkscape.